Add Pasta to boiling water and when its half cooked add yours or your kid’s favorite one or two vegetables and cook until Pasta is completely cooked. Drain excess water and add 4 tbs of Alfredo sauce, mix well until sauce is well coated to Pasta. Cook for 2 to 3minutes. Transfer to a plate or lunch box and garnish with Cheese. Prepare seasoning in a pan with Oil, Jeera and mustard seeds, when they start spluttering add onion and green chilies. After 2 to 3 minutes add tomatoes, water, little salt and let it cook for few minutes, turn off the flame and let it cool for 5 to 10 min. now add remaining all ingredients except mixture and mix well. Garnish with Mixture and serve with Mirchi Bajji or any Pakoda / Bajji. Add Pasta to boiling water and when its half cooked add yours or your kid’s favorite one or two vegetables and cook until Pasta is completely cooked. Drain excess water and add 4 tbs of marinara sauce, mix well until sauce is well coated to Pasta. Cook for 2 to 3minutes. 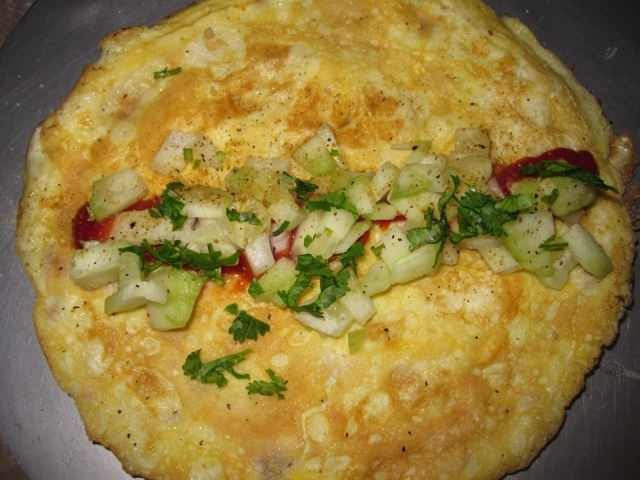 On a Dosa pan spread batter to a small 4 inch circle, on top spread two more circles attached to large Dosa, which should look similar to the picture. Toast both side and serve with your Kid's favorite Chutney or Ketch up. 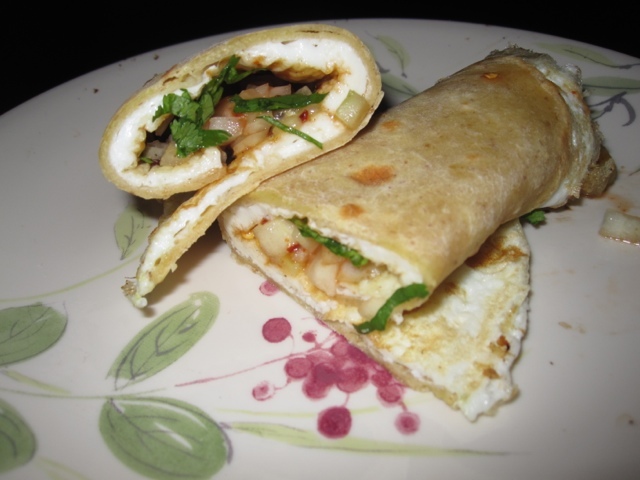 Chapathi/ Uncooked Tortilla /Frozen Chapathi on one side and keep it aside. 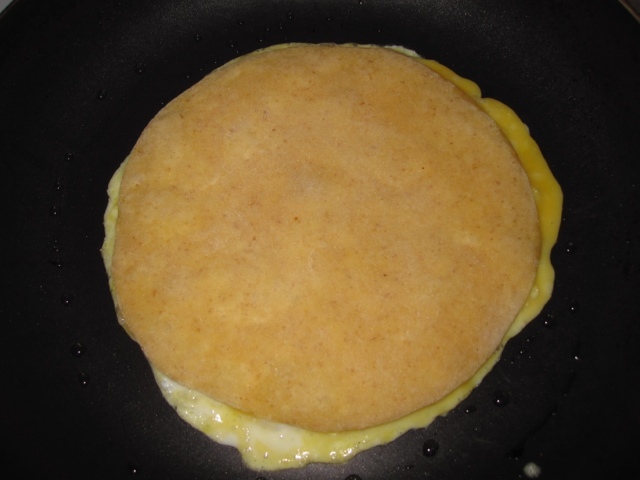 and Flip it to the other side and cook it for a minute.Remove it from the griddle and keep it on a plate. Place some onion mixture and drizzle the ketchup, squeeze a dash of lemon and roll it. 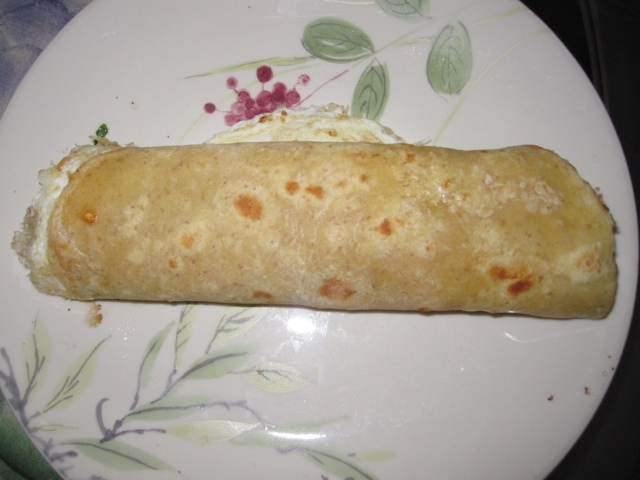 Wrap it with the parchment paper or aluminum foil in one end. Prepare seasoning with seasoning ingredients, when mustard seeds starts spluttering add carrot, cabbage, capsicum, salt, chili powder and daniya jeera powder and cook until all the vegetables get tender, if cooked vegetables leaves some water then keep frying until all the excess water evaporates. Serve hot with ketchup / Chutney. Method:Wash and pressure cook toor dal. Prepare seasoning with mustard seeds, jeera, red chilies, curry leaves, Asifotida and add onion, when onion gets soft add Sorekai, salt, sambar powder, Red Chili Powder, Turmaric Powder, water and cook until Sorekai gets soft now add Tomato, tamarind paste and cooked dal. Add water if required. Serve hot with Rice / Chapathi. Prepare seasoning in a pan with Oil, Jeera and mustard seeds, when they start spluttering add onion and green chilies. After 2 to 3 minutes add tomatoes, water, little salt and let it cook for few minutes, turn off the flame and let it cool for 5 to 10 min. now add remaining ingredients except mixture and mix well. Garnish with Mixture and serve with Mirchi Bajji or any Pakoda / Bajji.